Each one of us, are now aware of business benefits of having a mobile app. Well, the number of people shopping from their smart phones is increasing at considerably high rate. So, you are missing out all those thousands of customers, if your business has not moved from eCommerce to mCommerce! It not only brings you more customers, but also helps you keep hold of the existing ones. So, if you are planning to get a mobile app built for your eCommerce store, contact us! We can do that for you! All you need to do is come to us and speak to our expert team of professionals. They will understand your business requirements and implement it to give you desired output. We will integrate the Magento mobile application into the source code of your eCommerce store and deliver you a perfectly customized Magento eCommerce mobile application for your store, just the way you wanted it to be! Magento Mobile App Development services to give your business a mobile advantage! Smartphones are the way to go for all businesses to capture new heights in online sales. Our Magento eCommerce Mobile application development service is just right for your business to go mobile. Take advantage of the increasing numbers of mobile users and convert them to valuable customers. Now, you can let us know your exact business requirements and within a few days, we can develop a mobile application for your ecommerce store which will provide you the increased visibility and help you generate more traffic, instantaneously boosting up your sales and see your business grow. 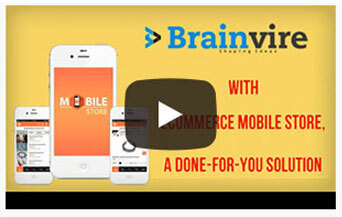 Go mobile today and future proof your business with our cutting edge mCommerce solutions. Get you’re an iPhone app built for your store and give your customers a fulfilling brand experience. 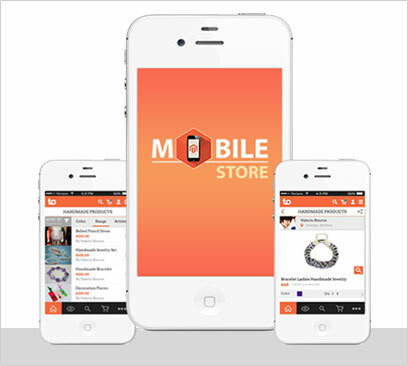 Differences that make our Magento store Mobile App development services your wisest choice! It's specially designed for Magento stores and can be integrated with your existing estore built with Magento Community and Enterprise Editions. It's directly connected with your system thus raising the access speed and data security. With the new Magento mobile app, you can retain the original look and feel of your web store. The functionalities such as payment method, shipping method etc. will not be hampered thereby bringing the same functional powerhouse of Magento ecommerce to your mobile commerce channel. If you have customized Magento theme but you cannot bear the development cost to develop a mobile version of your current theme, then we will easily customize your existing Magento theme accordingly with Mobile Magento Theme with easy configuration.